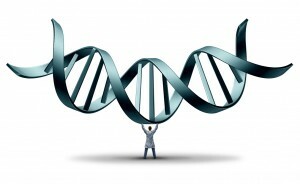 Aging research includes genomics, and genomics refers to the study of genomes or genes. A genome is the complete set of an individual’s DNA. When using genomes to study and explain the aging process, we can get a better idea of what to expect as we get older. Aging research allows us to examine the age-old debate of Nature vs. Nurture. How much of what we are and what we do is genetic? Although research into genomics and how it affects aging is a relatively new area of study, useful information can be gleaned from this research to help with successful aging practices. For example, let’s take a brief look at longevity. Many people want to live as long as possible, as long as they are fairly healthy and pain-free. How influential is genetics on life expectancy? Early studies have shown that longevity is thought to be about 20-30% influenced by genetics. Does this mean that if you are not genetically predetermined for longevity, that you have no chance of living a long and healthy life? The short answer is no. There are many things you can do to improve your longevity, regardless of your genetics. A genotype refers to the actual set of genes that make up our DNA. Each gene, or set of genes, is responsible for a specific trait. A phenotype is the way the trait is expressed to the outside world. We can use the longevity gene to illustrate this further. So, even if you do not possess the genotype for longevity, your phenotype may reflect longevity due to outside variables like nutrition, exercise, and social interaction. How is aging research and genomics helpful for seniors? Aging research and genomics can be useful for seniors by showing how genetics interact with environmental factors. For example, how does nutrition combine with genetics to affect longevity? In one study, it was found that the gene in charge of stress, metabolism, and inflammation, is affected by periods of fasting and the amount of food eaten in a sitting. Fasting for 12-hour periods and stopping eating before you are over-full can have positive effects on longevity. Eating lots of foods rich in anti-oxidants can also help lead to longer life. Exercise can also be a determining factor for longevity. Those that engage in regular cardiovascular activity, such as walking, running, or cycling, have a better chance of a longer lifespan. If you or a loved one are living in the Toronto and North York area, and are looking for help with staying active in the face of complex health challenges, our caregivers may be able to help. Call us, or fill out the form on the right-hand side of this page, and we will get back to you as soon as possible!